Tynnøl is a dairy farm in Lesja. Lesja lies in the beautiful Gudbrandsdalen valley, 2,5 hours drive from Lillehammer. We offer accommodation at reasonable prices. 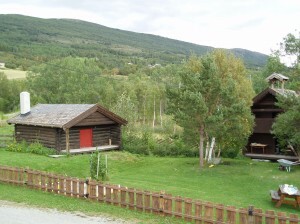 At Tynnøl Backpackers Lodge you sleep in old timber houses in the midle of the farm yard. We have 15 beds and a few tent sites. Self catering kitchen, toilet and shower are in the basement of the farmhouse. Are you looking for a comfortable bed, excellent fishing opportunities or bicycle hire?